​Your newest upscale event venue is now housed in the Arlington area just beyond the overpass. On September 7th, locals Pamela & Carl Polite hosted the grand opening of The Grand Rose Ballroom. The Grand Rose Ballroom encapsulates a dreamy fairy tale from the movies and brings it into reality. As crowds walked in, they were met by a local jazzy, soul singer and were served upscale bite-sized hors d’oeuvres including shrimp and grits, chicken and waffles, fresh pasta salad, and shrimp and steak casserole, and so much more. A bar awaited guests with ticketed spirits, while Dr. DJ Doom spun until the night could go no more. The Polites promised an upscale opening with door prizes, surplus food and a good time, and they did not disappoint. Guests received complimentary make-up sessions, skin care products and discounted rates for the new venue-—just a little something to thank them for supporting the vision. This new venue is quite an experience of a lifetime. More importantly, the event space is affordable and very accommodating as they offer a plethora of services. So if you’re getting married, hoisting a party or any corporate event, book an appointment to the exclusive, hottest event venue in the Arlington area. For more information about the grand opening and prices, please click the link below. ​They call him the Young Dream Maker. ​Just twelve years old, this protégé is making his mark in the unique industry of video game design. The Young Dream Maker or YDM is taking over the Middleburg area with his game design business, ManHamCo. It all started in YDM’s 7th grade coding class when he was asked to design a video game for the first time. After coding a game that featured a small fish that collects coins, YDM discovered his love for game creation. “I put many interesting sounds and sound effects into the game. I did a lot more in that game than what was taught in class,” says YDM. All Summer break YDM and his father have attended conferences such as the STEM Conference at UNF and the Gamerz Expo. He finds these conferences to be enlightening and educational. “These trainings are to expose me to the current operators in the video game industry and to the probable direction of advances in the industry and technology, in addition to teaching me some technical skills,” says YDM. After much practice, YDM put his skills to good use. He plans to debut his 2-D shooter game later this year. He wants people to know that it’s a family, friendly game of course. YDM also wants his gaming experiences to reflect his African American background. Since his mother was born in Luanda, Angola and his father was born in Miami, FL, he is very fluent in both English and Portuguese, which plays a key role in the production process. “This has proved a tremendous advantage in our business because our model is to sell our games world-wide as digital downloads from our website, says YDM. YDM and his father enjoying themselves. Photo courtesy of YDM. 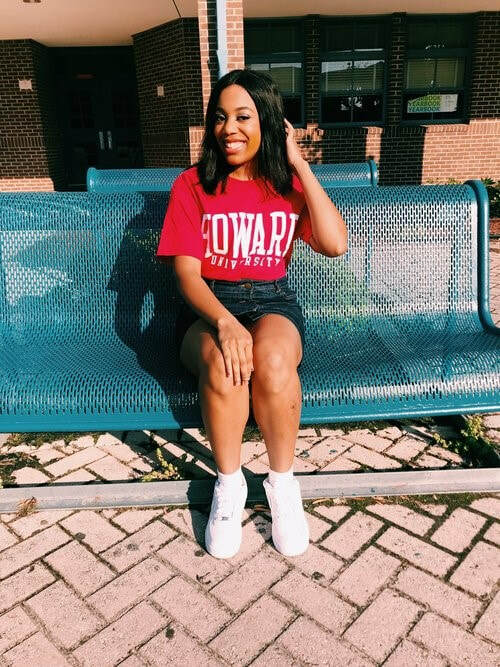 Many children YDM’s age are creating their own businesses and it is incredible and empowering to see the fruition in the African American community. More than just a video game, ManHamCo. is on a mission for something greater. “We, (African Americans) are extremely underrepresented in the video game industry from everything that I have seen and read. I intend to change that, not just with the games I make personally, but by getting others in our community involved,” says YDM. What’s even more exciting is that former United States Ambassador (to eight different countries in the South Pacific), Bernard Fennell, has agreed to head their global outreach initiative as the Chief Brand Ambassador. The creators of ManHamCo. are looking forward to some great things. They plan to take over the Middleburg area, then take over the world. The Jacksonville community is more than honored to be apart of YDM's vision. After all, we are his village. Please give them a like on their Facebook page. Also, click on the link in the About section and follow the journey on their website. The Facebook page is Facebook.com/ManHamCoVideoGames. One local Jacksonville student plans to transform from a Buc to a Bison. While it is very easy to get discouraged by the naysayers, one true fighter is sticking to her dreams and plans to make it out. Follow Amari's journey to success on Instagram @aeverett__. Feel free to leave Amari with words of encouragement in the comments! Enough is enough. Every day, lives are claimed by gun violence and senseless murders. 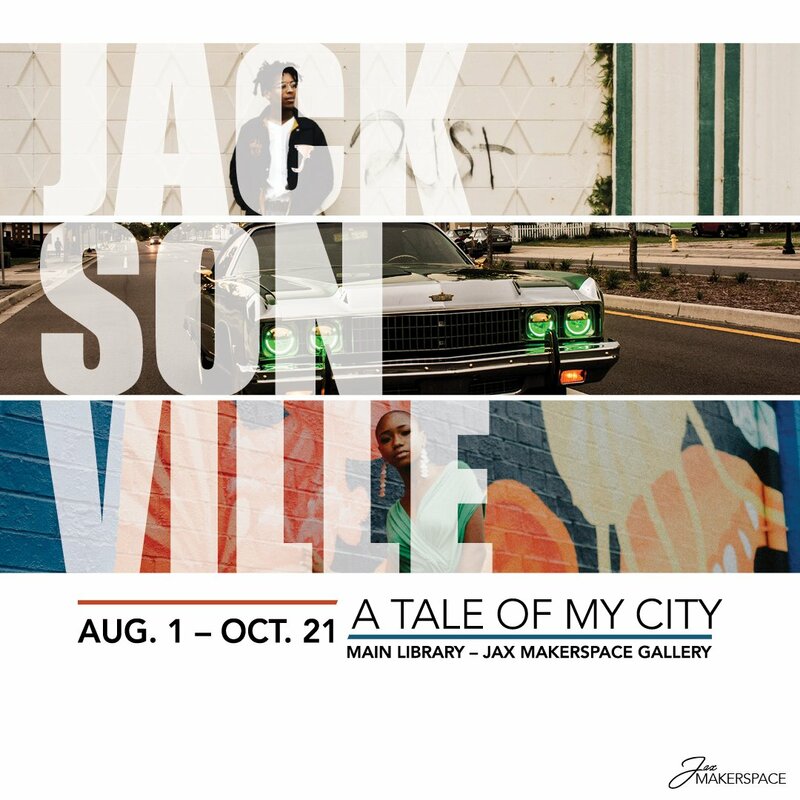 From cop killings to neighborhood crimes, Jacksonville is known for ushering young, black men into the grave before their time. 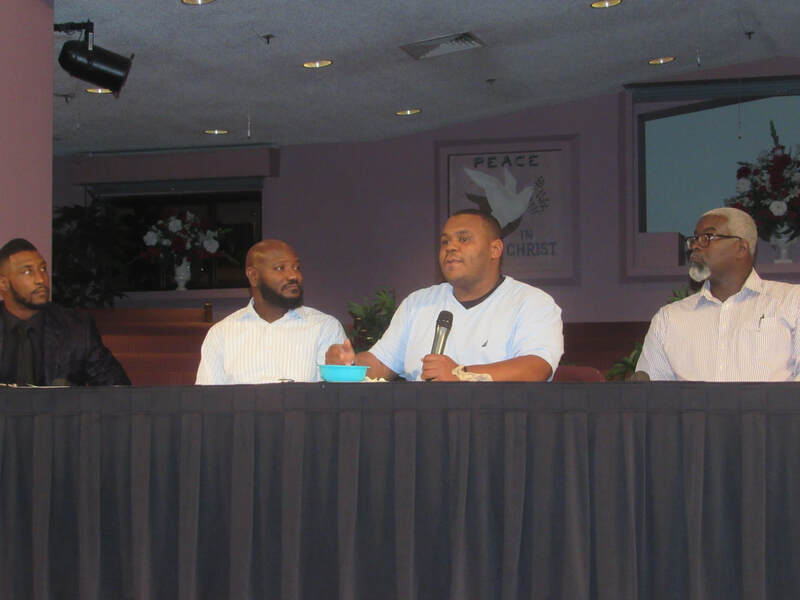 This is why City Council Candidate Kevin Monroe, hosted a live panel to discuss the effects on gun violence in the community. On Saturday, January 27, several influential leaders joined Monroe at Philippian Community Church. 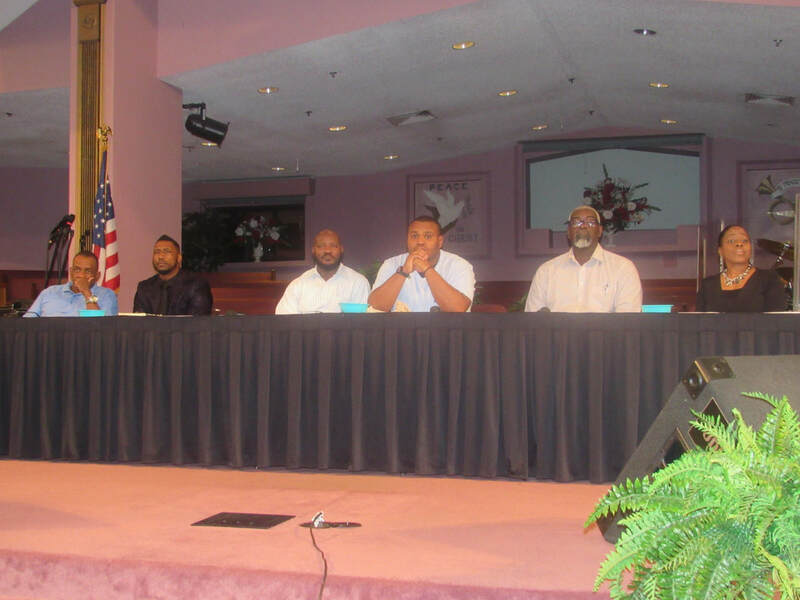 The panel included Channel 4’s Gil Smith, Pastor Virgil Jones, Jr., Pastor Nahshon Nicks, Dr. William Thomas and teacher Nicole Curry. With so many factors revolving around gun violence, the issues boiled down to one factor—communication. The entire panel agreed that parents need to communicate with their children, especially males, about the importance of guns and gun safety. Smith urged the community to educate their children on gun laws. “In Florida, guns do not need to be registered, but you must have a license,” he says. Gun owners are also required to keep guns in a safe place--completely away from children. Safety always comes first, but there are many Children who may never hear this advice from a parent, especially a paternal figure. Dr. Thomas, a Chaplain for inmates, says that 90% inmates grew up without a father. He suggested to change the dynamic of the family structure. To do that, he encouraged parents to work through conflict together to ensure a safe environment for children. “You need a male structure in the house in order to raise your children. Without that, that child is fair game. He’s fair game to the gangs. Fair game to the streets. Much like low-hanging fruit, he’s easy –picking,” says Thomas. Smith also suggested that we cannot continue to excuse fatherlessness. “Male figures may not be there now. They may never be there. Then do what is necessary to prepare your child(ren),” Smith says. Several locals in the audience had questions and concerns, but one local had a devastating testimony. Earline Nixon, a regular churchgoer, recalled the loss of her 19-year-old nephew to gun violence on New Year’s Eve. “He just wanted to feel like he belonged. Some of the people in the streets are probably who killed him. When you leave here, you’re not coming back. My nephew probably thought, ‘I ain’t gone get killed’. But guess what? He was in his car at a stop sign and he was shot in his head," Nixon says. Much like Nixon, many grandmothers, neighbors, mothers, have lost sons and daughters to gun violence. So, what can be done to decrease the gun violence? How can parents communicate with their children more? The panel and audience agreed on multiple solutions. Smith advised to try speaking with your children at night before they go to bed. “There’s something about the darkness that opens up communication,” he says. He finds it easier to communicate with his daughter in this way. Pastor Nicks encouraged the community to ban together. He pointed out that the most valuable resource in the black community is depending on each other. Communities cannot depend on law enforcement systems to restore Black communities. “We don’t need better response times. We need police officers via residents, via citizens, interacting with the community on a regular basis. Give them incentives to stay with the people they’re supposed to serve,” says Nicks. The issue of gun violence will never get resolved in one conversation. But you'll never know how one conversation can save your children's lives. "It’s not up to the media to teach our children how to communicate. Talk to your kids," says Monroe. Monroe plans to have more live panels to discuss gun violence in the near future. For more information about gun laws and safety, click on the link below. If you've missed the live panel, below are a few photos from the event.